"Satan, you're so GROSS. GET AWAY FROM ME." This is what I've been saying when the deceiver whispers little reminders of past hurts and failures in my ear. He's vile. I'm becoming much more aware of his schemes and tactics to get my eyes off God and away from my dreams. Do you realize Satan has no power over you except what you allow him? It's true! When your eyes are focused on God and His plan for you, when you're relying on Him for everything, when you believe in Him and have faith that all things work together for your good, Satan is powerless. But beware. He's a tricky one. You'll find yourself focused on the right stuff, doing great things with good intentions, when suddenly your thoughts begin to shift to something negative from your past. It might be some hurt from a past relationship, a failed attempt at losing weight or working out, piercing words from someone who was supposed to love and care about you, heartache from losing a baby or loved one, words you wish you'd never said, or a multitude of other pains and regret. Two words... inferiority and insecurity. Although these thoughts are normal, they aren't just coincidences. They're intentional. They're crafted carefully and delivered at precicely the right moment, when it will hit you hardest... or so he thinks. The more you understand how he operates, the easier it will be to withstand these attacks. God tells us in the Bible exactly how we can overcome these attacks... we put on the full armor of God! God is real. God loves you, and Jesus died for your sins. God is on your side - that is the Truth! 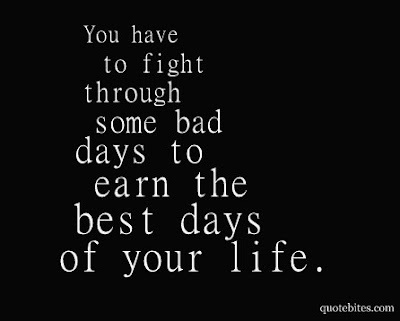 Hold on to the Truth, and like a good tight belt, the truth will hold you up and keep you strong when Satan attacks. Guard your heart. Always do what is right and good. That way, Satan won’t have anything to grab onto to worm his way into your heart. You'll be able to stand straight and tall, with your head held high. 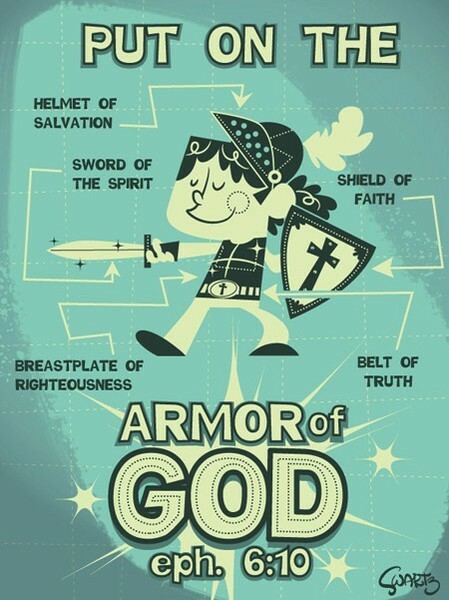 To protect yourself from Satan’s flaming arrows, take up the Shield of Faith! The God of the Universe is on your side. God is your protector. Put your faith in Him and Satan cannot hurt you! God has given us a weapon to fight back against Satan’s lies and accusations. Our weapon is the truth of God’s Word. It is the Bible. God’s Word can cut Satan’s lies to pieces. Use God’s Word to fight Satan just like Jesus did when Satan tempted Him in the desert. The words of the Bible are your sword. You are saved! You are God’s child! Satan has already lost, death is already defeated, and nothing can ever take you away from God. Keep your thoughts always on that! No doubt we have some work to do, but let's suit up and tell the devil to get behind us! Then, let's get on with our day and make our dreams come true!